Deaf Centre Manitoba Inc.: ASL Night for April 20th at Boston Pizza! Check it out!! 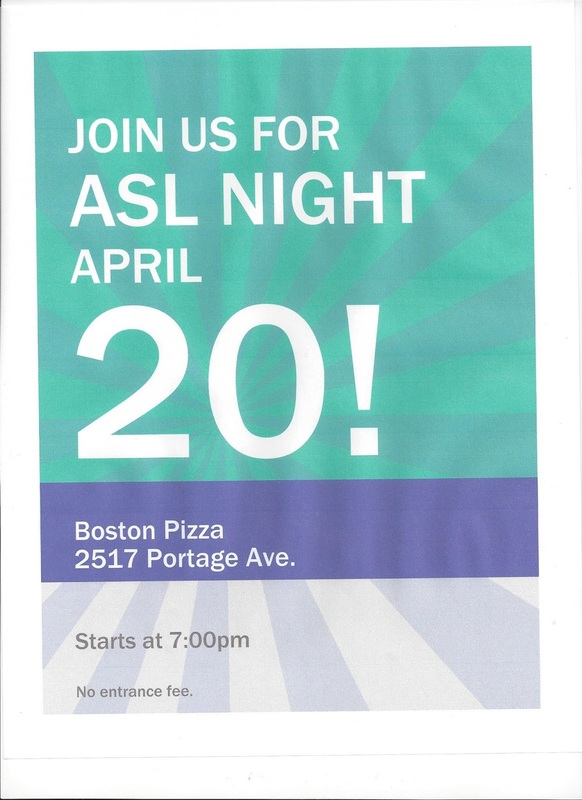 ASL Night for April 20th at Boston Pizza! Check it out! !